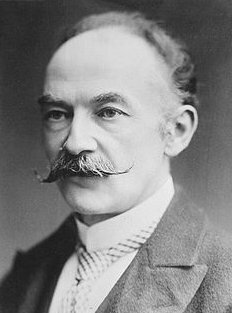 English poet and novelist Thomas Hardy, whose gloomy cast of mind makes him particularly suitable for these pages, lived most of his nearly 90 years right next door to death. Hardy’s work spans the English experience from the Napoleonic Wars to the First World War, ever haunted by tragedy and loss. This guy wrote “Dead Man Walking” before Dead Man Walking. For the next few posts, Executed Today catches a young Thomas Hardy as witness to public hangings … and an aged Hardy as witness to a world at war. Meaghan, I cried like I’d never cried before when I read “Jude The Obscure”. My husband urged me not to finish it as he could see what it was doing to me, too. Hardy is so cruel and unfair to his people, nothing is ever allowed to go right, only wrong. Mind you, I do think The “The Conversion of the Twain” about the Titanic and the iceberg is a brilliant poem. Meaghan, I cried like I’d never cried before when I read “Jude The Obscure”. My husband urged me not to finish it as he could see what it was doing to me, too. Hardy is so cruel and unfair to his people, nothing is ever allowed to go right, only wrong. Mind you, I do The “The Conversion of the Twain” about the Titanic and the iceberg is a brilliant poem. “Are You Digging On My Grave” is one of the most depressing poems I have ever read in my life. And the ending to Jude the Obscure visibly traumatized me. I remember, in the middle of Jude, calling my boyfriend (who has an English degree) and asking, “Besides all the spouse-swapping, does anything actually HAPPEN in this novel?” And he said, “Trust me, something’s going to happen” and gave a sadistic chuckle. I finished the book at 3:00 a.m. By breakfast time, I was still looking shell-shocked and people in the cafeteria were actually asking me if everything was all right.